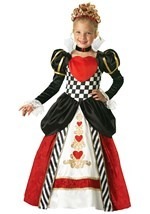 If the teens have truly hit her, she'll make heads roll on a whim in this sassy teen queen of hearts costume! 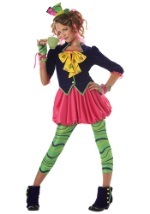 The cute costume includes a black, velour dress made from polyester. The dress has an attached stand-up collar that is lined in red and made from foam to maintain its shape. 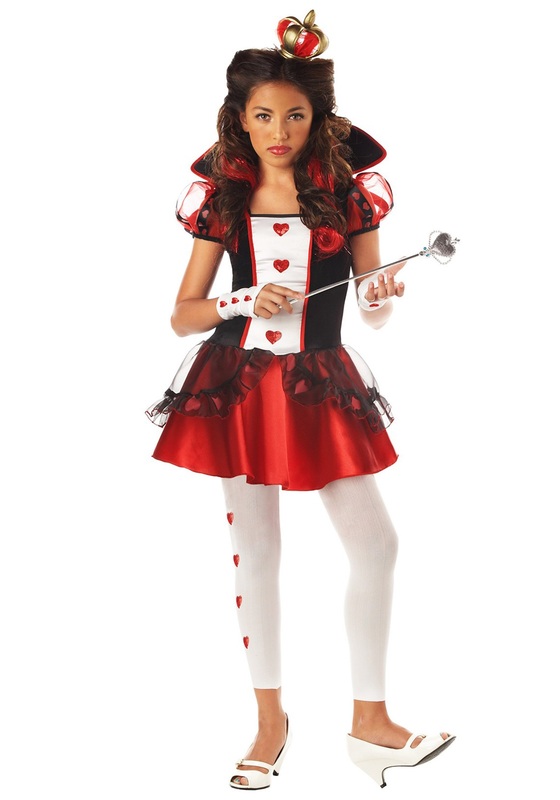 A white satin-like inset lines the torso with red sequined hearts and has red trim. The short sleeves are made from sheer red material and decorated with black ribbon that features red hearts. The sleeves are also lined with elastic to give them a puffy look. 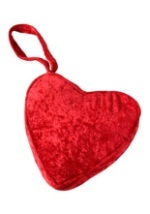 The red shimmering skirt has a sheer black overlay with red hearts. The white leggings also feature red hearts down the side and are made from a spandex and nylon blend. 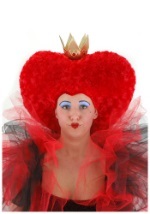 Matching white glovelettes with red hearts are also included and a crown completes the costume. The plastic gold crown is stuffed with red netting and has two small elastic loops making it easy to pin the crown in place (please note: bobby pins are not included). Add our pink flamingo purse and embark on a nonsensical game of croquet in this sassy teen queen of hearts costume!